With the Moto Z2 unveiling to be scheduled on 27th June, 2017, Motorola has finally marked an end to its customers’ long wait. 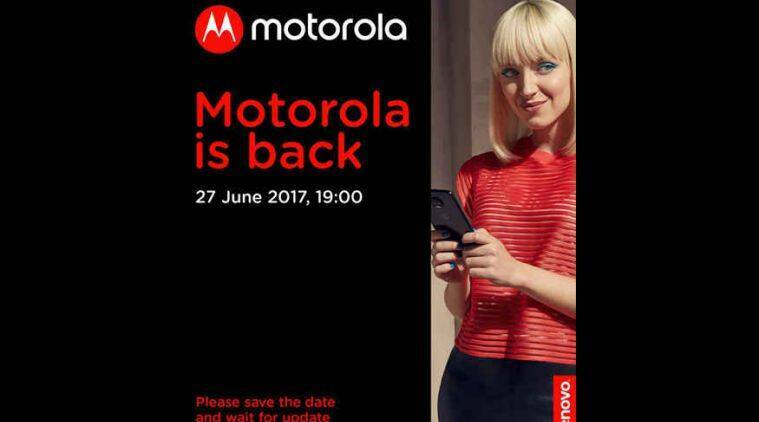 Motorola has started sending invites for an event taking place on 27th June. It has already rolled out several gadgets including Moto Z2 Play, Moto E4, and Moto E4 Plus this month. Currently, the UK residents can place orders for Moto E4 Plus for just £160. And now, we expect that the much-awaited Moto Z2 unveiling will take place at the main event tomorrow. The recently launched Moto Z2 Play is available at an astonishing price of Rs. 27,999 in India. And it was also available for pre-booking till 14th June. The company has released its special image that features a girl having a smartphone of Z series in her hands. If you zoom in the image, you will see that it has a dual rear camera setup. And the striking design of the smartphone hints that the smartphone will be none other than Moto Z2. Believing the reports, another event taking place on 30th June, 2017 will roll out yet another Motorola’s smartphone Moto X4. Indeed too many smartphones lined up for release in this month! Moto Z2 will have a Snapdragon 835 chipset of Qualcomm, and a 5.5-inch QHD touchscreen. Further, it will sport a sufficient 6GB RAM for smooth functioning. We cannot wait for the Moto Z2 unveiling event that is just a day away. Let’s see what sort of detailed features this smartphone has got in its kitty, and how much it will be able to impress customers worldwide.